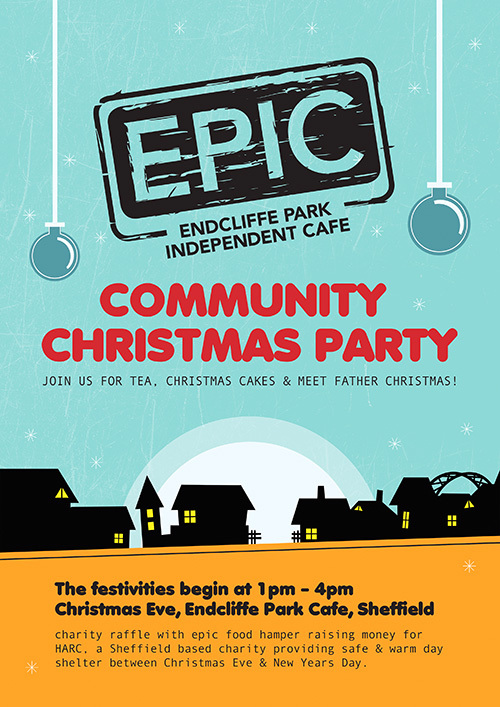 To celebrate me ‘coming home for Christmas‘ I’m going to Sheffield’s Endcliffe Park Cafe – EPIC‘s Community Christmas Eve Party, held from 1 – 4pm and the lovely people there would ALL LOVE you to come too. Father Christmas is also going to be making a quick appearance before his BIG NIGHT OUT so bring the children and make room for epic tea and cakes! WIN an EPIC Missie Cindz Christmas Hamper with gifts from London & Sheffield’s finest makers and help raise money for a local Sheffield charity! I’m putting together an EPIC Christmas Hamper to raise money for a local charity, HARC (Homeless and Rootless At Christmas), a Sheffield based charity providing safe & warm day shelter between Christmas Eve & New Year’s Day, and will be raffling the hamper off at the EPIC Christmas Eve party. Food and non-food donations from local businesses, makers, craft lovers and individuals are very welcome! You can drop donations in to the Cafe, ask for Ashley, the cafe owner and who I’m also sure will offer you a festive hug and label your items ‘For Missie’s Xmas Hamper‘, or message / email me to donate and I’ll arrange pick up. Raffle tickets will be £2 per ticket or £15 for a page of 10, and are available to buy from the Cafe now up until our raffle draw on 24th Dec. Homeless and Rootless At Christmas (HARC) in Sheffield provide free hot meals a day, and guests are welcome to spend the entire day with them at a time when all other services are closed for the festive holidays. I understand that there are quite a few services for the homeless in Sheffield that are closed over the Christmas period. So the homeless rely heavily on this fantastic cause & vital service at Christmas time, and your money from the raffle tickets will contribute in providing nutritious meals in a warm and welcoming environment for the vulnerable – please help buy a raffle ticket and play a part in making someone’s festive period that little bit brighter. 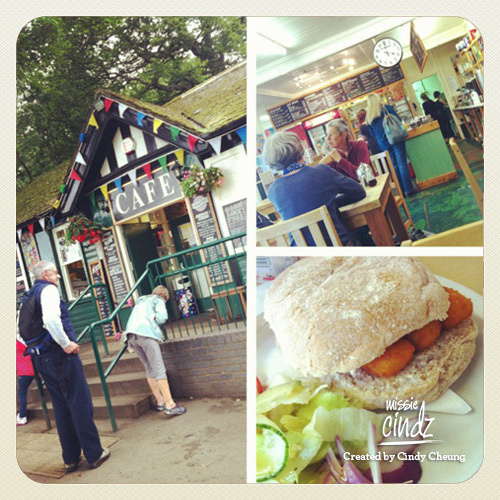 Find HARC on Facebook here.